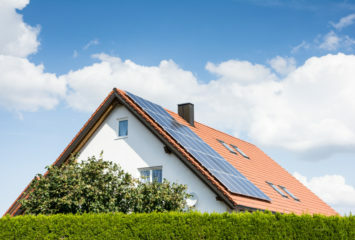 Home » Resources » How Do Solar Panel Leasing Programs Work? There are many ways to add solar panels to your home. Most of them involve hiring a good contractor to design and install a system on your roof. And, unfortunately, most of them involve spending a lot of money “up front” on the system and installation. Fortunately, there are rapidly-evolving alternatives that bring the initial cost of the system down to something much more affordable, and even some that offer spending nothing up front. What Exactly is Solar Panel Leasing? Similar to when you lease a car and drive and use it without paying the cost of the vehicle, solar panel leasing lets you lease solar panels to generate electricity. You may also hear it referred to as solar financing, solar power purchase agreements, or solar rental programs. How Does Solar Panel Leasing Work? The provider comes to your home to determine if it qualifies for their program. They evaluate sun exposure, roof angle and access issues. If your home is right for solar power, the company usually collects a deposit, and asks you to sign an agreement for 10-20 years. In some cases, depending on local solar incentives, the provider may not require any money at all. That’s right! Your system could be FREE. Some leasing programs also provide an easy transition to a new homeowner, should you choose to move. The provider hires the installer and oversees the installation. They also manage all system maintenance and warranty issues for the life of the contract. You immediately start seeing benefits in the form of lower electricity bills. Essentially, the solar leasing company is selling you power at a reduced rate, generated from the newly installed solar panels. Savings vary from 5%- 25% on monthly electricity bills. Here’s where it gets really good: Your power rates with the leasing company are locked in for the life of the agreement. So when utility rates start to rise (and they most definitely will), your rates stay the same and your power savings will really take off. As an added benefit, you get the satisfaction of generating clean, renewable energy while helping the planet. They live in states with great solar incentives, such as Arizona, California, Colorado, Massachusetts, New Jersey, and Pennsylvania. Programs will be in place very soon for Texas and Florida, among others. They are serviced by a major utility company with a solar incentive program in place — not a local or municipal power cooperative. So How do I Find a Provider? There are several major solar panel leasing firms nationwide. They include SunRun, SunPower, and SolarCity. All of these companies have an online form that you can fill out, requesting that you be contacted for an estimate. There are others, and you can find out more by contacting your local utility provider or finding a local solar contractor. 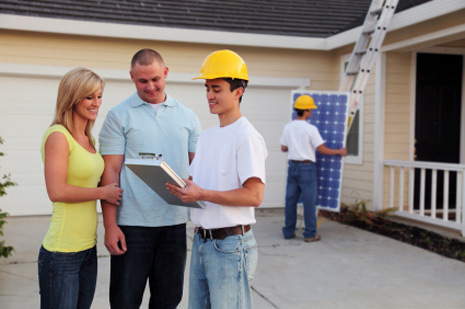 Here at Solar Power Authority we also have a solar quote tool that has information on local contractors. Be sure to read our guide to choosing an installation company, too. 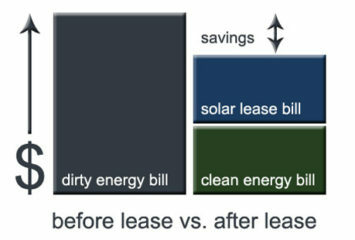 Leasing is a great way to get solar panels installed on your home and reap the benefits of renewable energy right away! This article was written in collaboration with Kriss Bergethon, a writer and solar expert from Colorado. You can visit his site at Solar Panels for Homes. Solar power is attrating people’s attention more than ever before. Kingsun Optoelectronic Co., Ltd is a leading company in Manufacturing the LED Lights and LED Street Lights products for more than 16 years. Kingsun LED Light products include: solar LED street light , the LED light , LED Street Light, LED Tunnel Light, LED Flood Light, LED tube light and LED High Bay Light. Solar Panel leasing program helped many people to install solar panels, as solar panel cost a lost. Because of leasing program people can install solar panel without paying that huge amount. When do you see the leasing program in Florida becoming available? And who do I contact in Sumter County Florida?